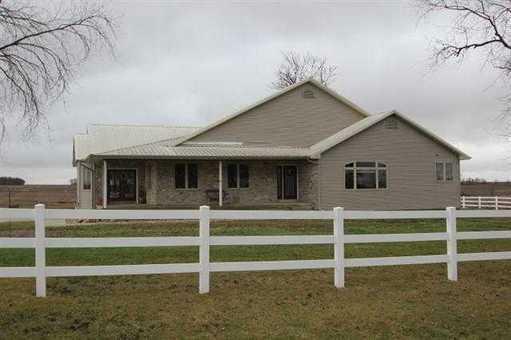 Upscale acreage with out buildings for horses and storage! This Ranch home has over 7, 000 sq ft finished, 4 beds and 5 baths. Main floor ammenities include great room with wood floors and fireplace, main flr laundry, mud room, master suite with huge tiled shoer and jetted tub, all bedrooms have access to bathrooms. LL features massive family room and bar with room for pool table and games, bath room, toy room and 2nd stairway to basement. Attached 4 car garage has heated floor and water.Dunkerton Schools, 2.83 acres m/l Barn 56x36, steel blding 60x32, steel blding 40x26. Great location close to John Deere!